Lincoln has been trying desperately to reinvent itself as of late – trying to hold off a fate like that of sister company Mercury. This is the type of car it needs. The newest iteration of the Ford Thunderbird was kind of a dud. Perhaps it would have worked better as this. 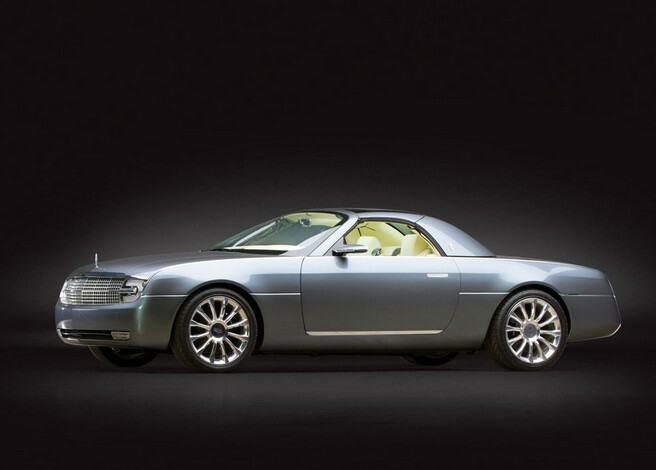 The 2004 Mark X Concept is based around a Thunderbird, but has all of the Lincoln bits on it. It looks better than the T-Bird it’s based around, honestly, and uses a 280 horsepower 3.9-liter V-8. It’s a true concept car – only one made. But it does run and drive (although getting it road-registered could be tricky – check local listings). There are a number of Ford concept cars at this sale, but this is one of the best (if not the coolest). You can read more here and see more from RM’s sale of the Sam Pack Collection here. This entry was posted in Uncategorized and tagged 2004, auctions, cars, concept, concept cars, lincoln, mark x, rm auctions by classiccarweekly. Bookmark the permalink.